I'm a middle school highschool student and a moderator on Quantum Computing SE. 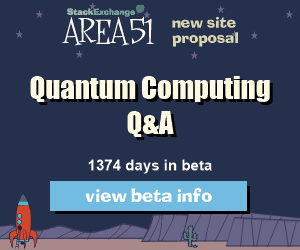 My favorite field of study is quantum computing. Right now, I'm especially focused on reading about spontaneous parametric down conversion and am working on an experiment related to that. I've written a paper (meant merely for practice; it doesn't contribute anything new) on quantum error correction that can be viewed here. I'm also working on an ideal simulator of a quantum computer in Python; I recently figured out a major problem, so I made some decent progress over the past couple of months (though school has gotten in the way a bit). I've typed up some notes on calculus and other topics in LaTeX (warning: I'm not as consistent in updating my repositories as I should be), which can be viewed on github here. Now that I've worked through some of the basics using Conceptual Physics by Hewitt I'm starting to learn about more advanced classical mechanics. I always enjoy learning new things about Python - more recently I've started working on some programs related to analog computing with my dad. I also read a lot of Tolkien (I'm working on a paper comparing Durin and King Arthur), sci-fi, and mythology - I'm currently reading through the Kalevala and Dune Messiah. 42 How to explain what code is to my parents? 41 How can I convince my fellow CS teachers that reaching every student is a worthwhile goal? 38 Why do nuclei decay so fast and slow? 35 Why ket and bra notation? 34 What on Earth is this drawing of Venus?